In one of the largest opioid-related fraud busts in US history, U.S. Attorney General Jeff Sessions and Health and Human Services Secretary Tom Price targeted opportunists that have been profiting off of our country’s latest drug epidemic. Over four hundred perpetrators, including 52 physicians, account for $1.3 billion in fraudulent billings; in South Florida, prosecutors have charged 77 offenders, according to online news source My Palm Beach Post. 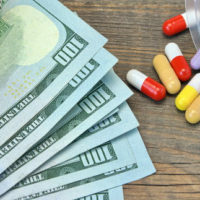 Some of the criminal complaints involve general health care fraud allegations, including charging the federal government – mostly Medicare – for services that were actually not provided. Fraud against the US government is a gravely serious crime, so you should discuss your case with an experienced attorney to avoid harsh consequences of a conviction. Government fraud, such as falsifying tax records, counterfeiting money, bankruptcy fraud, and Social Security fraud. Falsifying a patient condition in order to sell pharmaceutical products. Since fraud is a crime of intent, a person’s actions cannot amount to a mere mistake or omission. Considering some of the complicated forms that a person must complete to obtain healthcare-related benefits from the government, it’s easy to make an innocent mistake. To commit fraud, an offender must intentionally, knowingly engage in a strategy to make false statements in order to obtain financial gain. There are many categories of fraud against the US government, and all of them include serious penalties, hefty fines, and other implications. Both Florida and the federal government take these crimes very seriously, so you can be sure that the prosecuting attorney will aggressively pursue the case against you. The best defense is hiring an experienced attorney that will fight for your rights and present all defenses available under the law. Fort Lauderdale lawyer Kevin J. Kulik has extensive experience representing those facing criminal fraud charges, so please contact our office today to discuss your options.